A common misconception about "going green" is that it has to be a drastic, life-altering change made over night. But the truth is that if we all take little steps to living a greener life, we can significantly reduce our carbon footprints and contribute to maintaining and saving our planet. According to the United States Environmental Protection Agency (EPA), 39% of all the energy used in the United States is used to generate electricity. When we use energy more efficiently, we can reduce the amount of fuel used to produce energy, therefore reducing the amount of polluting emissions in our atmosphere. One way to cut down on your electricity use is to replace your regular light bulbs with energy efficient and long-lasting LED bulbs. According to trehugger.com, an LED light bulb can reduce energy consumption by 80-90%. Although they are initially more expensive than incandescent or CFL light bulbs, LED lights save you money in the long run, lasting around 100,000 hours, which adds up to over 11 years! If every American replaced one light bulb with an LED bulb, 2.5 million homes could be lit from the energy saved. Using dimmable LED light bulbs can also help reduce the amount of energy in use because it allows you to control and only use the amount of light you need. Using a solar charger to power up your small electronic products can also reduce the amount of energy you use. The ReVIVE Series Solar ReStore is a great option when considering a solar charger, providing a full charge to most Smartphones, mp3 players, and other small USB powered devices. A quality that makes this solar charger a popular choice is that it can also charge your products through regular AC and DC outlets. 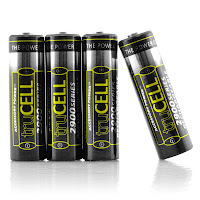 Another way to reduce your carbon footprint is by replacing single-use alkaline batteries with rechargeable batteries. According to the EPA, Americans use about 3 billion batteries a year to power electronic like radios, toys, phones, cameras, and other devices found around the house. Unfortunately, of those 3 billion, 180,000 tons are improperly disposed of. Batteries contain heavy toxic metals that can contaminate the earth and water when not disposed of properly. Rechargeable NiMH batteries, like our truCELL batteries, are designed to have an extended run time and replace hundreds of single-use batteries a year. Of course, there are many other habits you can pick up to reduce your energy consumption, like making sure to turn off all of the lights, radios, televisions, and any other electronics that are not in use when you leave a room, even if you'll only be gone for a few moments. Also, electronics that stay plugged in when not in use, like kitchen appliances and electronic chargers, use up energy even though they are turned off. Make it a point to unplug these electronics when they are not in use. Or plug all electronics into a power strip and simply turn off the power strip when you don't need it anymore. By using simple tricks like these to reduce your energy consumption, not only are you contributing to a healthier planet, but you are also saving yourself money. 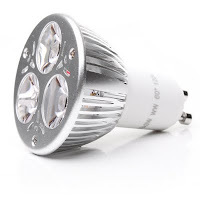 For more information on LED lights, solar charges, rechargeable batteries, and other energy efficient products, visit http://www.accessorygenie.com/.